One of the most important concepts that one must employ when questioning Darwinist theory in the light of scientific discoveries is without a doubt the criterion that Darwin himself employed. In The Origin of Species, Darwin put forward a number of concrete criteria suggesting how his theory might be tested and, if found wanting, disproved. Many passages in his book begin, "If my theory be true," and in these Darwin describes the discoveries his theory requires. 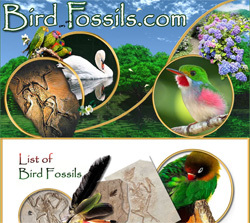 One of the most important of these criteria concerns fossils and "transitional forms." 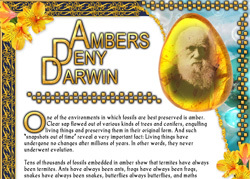 In earlier chapters, we examined how these "prophecies" of Darwin's did not come true, and how, on the contrary, the fossil record completely contradicts Darwinism. 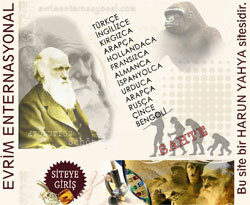 We must examine Darwin's intention here very carefully. As we know, Darwinism explains the origin of life with two unconscious natural mechanisms: natural selection and random changes (in other words, mutations). According to Darwinist theory, these two mechanisms led to the emergence of the complex structure of living cells, as well as the anatomical systems of complex living things, such as eyes, ears, wings, lungs, bat sonar and millions of other complex systems. However, how is it that these systems, which possess complex structures, can be considered the products of two unconscious natural effects? At this point, the concept Darwinism applies is that of "reducibility." It is claimed that these systems can be reduced to very basic states, and that they may have then developed by stages. 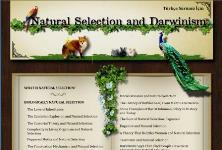 Each stage gives a living thing a little more advantage, and is therefore chosen through natural selection. Then, later, there will be another small, chance development, and that too will be preferred because it affords an advantage, and the process will go on in this way. As a result of this, according to the Darwinist claim, a species which originally possessed no eyes will come to possess perfect ones, and another species which was formerly unable to fly, will grow wings and be able to do so. 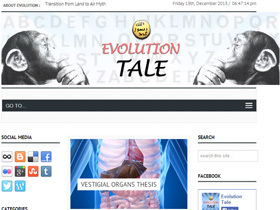 This story is explained in a very convincing and reasonable manner in evolutionist sources. But when one reflects on it, a great error appears. The first aspect of this error is a subject we have already studied in earlier pages of this book: Mutations are destructive, not constructive. In other words, chance mutations that occur in living creatures do not provide them any "advantages," and, furthermore, the idea that they could do this thousands of times, one after the other, is a dream that contradicts all scientific observations. But there is yet another very important aspect to the error. 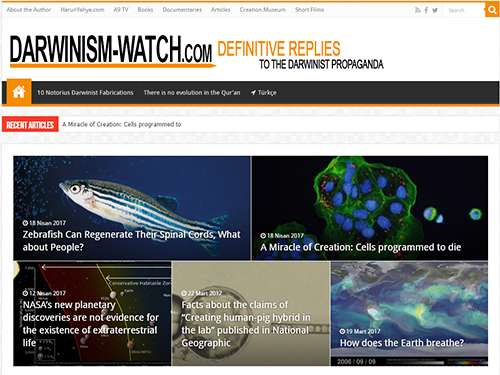 Darwinist theory requires all the stages from one point to another to be individually "advantageous." In an evolutionary process from A to Z (for instance, from a wingless creature to a winged one), all the "intermediate" stages B, C, D, …V, W, X, and Y along the way have to provide advantages for the living thing in question. 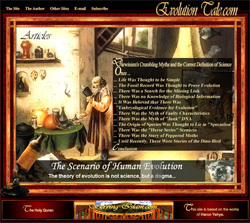 Since it is not possible for natural selection and mutation to consciously pick out their targets in advance, the whole theory is based on the hypothesis that living systems can be reduced to discrete traits that can be added on to the organism in small steps, each of which carries some selective advantage. That is why Darwin said, "If it could be demonstrated that any complex organ existed, which could not possibly have been formed by numerous, successive, slight modifications, my theory would absolutely break down." Given the primitive level of science in the nineteenth century, Darwin may have thought that living things possess a reducible structure. But twentieth century discoveries have shown that many systems and organs in living things cannot be reduced to simplicity. This fact, known as "irreducible complexity," definitively destroys Darwinism, just as Darwin himself feared. An electric motor—but not one in a household appliance or vehicle. This one is in a bacterium. 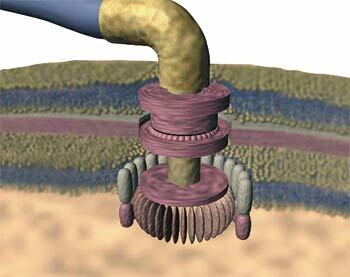 By means of this motor, bacteria have been able to move those organs known as "flagella" and thus swim in water. This was discovered in the 1970s, and astounded the world of science, because this "irreducibly complex" organ, made up of some 240 distinct proteins, cannot be explained by chance mechanisms as Darwin had proposed. The most important person to bring the concept of irreducible complexity to the forefront of the scientific agenda is the biochemist Michael J. Behe of Lehigh University in the United States. In his book Darwin's Black Box: The Biochemical Challenge to Evolution, published in 1996, Behe examines the irreducibly complex structure of the cell and a number of other biochemical structures, and reveals that it is impossible to account for these by evolution. According to Behe, the real explanation of life is creation. The bacterial flagellum is clear evidence that even in supposedly "primitive" creatures there are extraordinary features. 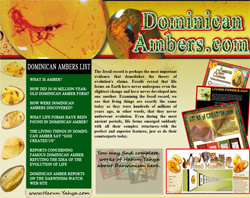 As humanity learns more about the details, it becomes increasingly obvious that the organisms considered to be the simplest by the scientists of nineteenth century, including Darwin, are in fact just as complex as any others. 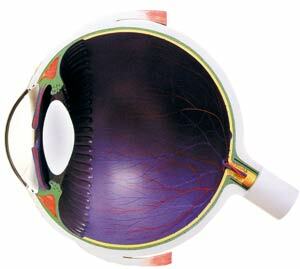 The human eye is a very complex system consisting of the delicate conjunction of some 40 separate components. Let us consider just one of these components: for example, the lens. We do not usually realize it, but the thing that enables us to see things clearly is the constant automatic focusing of the lens. If you wish, you can carry out a small experiment on this subject: Hold your index finger up in the air. Then look at the tip of your finger, then at the wall behind it. Every time you look from your finger to the wall you will feel an adjustment. In The Origin of Species, Darwin experienced a serious difficulty in the face of the eye's complexity. The only solution he found was in pointing to the simpler eye structure found in some creatures as the origin of the more complex eyes found in others. He claimed that more complex eyes evolved from simpler ones. However, this claim does not reflect the truth. 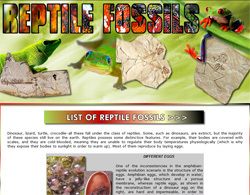 Paleontology shows that living things emerged in the world with their exceedingly complex structures already intact. The oldest known system of sight is the trilobite eye. This 530-million-year-old compound eye structure, which we touched on in an earlier chapter, is an "optical marvel" which worked with a double lens system. This fact totally invalidates Darwin's assumption that complex eyes evolved from "primitive" eyes. This problem is so great from the evolutionist point of view that the closer we look at the details, the worse the quandary the theory finds itself in. One important "detail" which needs to be looked at is the claim about "the cell which came to be sensitive to light." Darwinists gloss this over by saying, "Sight may have started by a single cell becoming sensitive to light." But what kind of design is such a structure supposed to have had? So, how does this system, which Darwin glossed over as a simple structure, actually work? How do the cells in the eye's retinal layer perceive the light rays that fall on them? The answer to that question is rather complicated. When photons hit the cells of the retina they activate a chain action, rather like a domino effect. The first of these domino pieces is a molecule called "11-cis-retinal" that is sensitive to photons. When struck by a photon, this molecule changes shape, which in turn changes the shape of a protein called "rhodopsin" to which it is tightly bound. Rhodopsin then takes a form that enables it to stick to another resident protein in the cell called "transducin." Prior to reacting with rhodopsin, transducin is bound to another molecule called GDP. When it connects with rhodopsin, transducin releases the GDP molecule and is linked to a new molecule called GTP. That is why the new complex consisting of the two proteins (rhodopsin and transducin) and a smaller molecule (GTP) is called "GTP-transducin-rhodopsin." But the process has only just begun. The new GTP-transducin-rhodopsin complex can now very quickly bind to another protein resident in the cell called "phosphodiesterase." This enables the phosphodiesterase protein to cut yet another molecule resident in the cell, called cGMP. Since this process takes place in the millions of proteins in the cell, the cGMP concentration is suddenly decreased. In brief, a single photon hits a single cell, and through a series of chain reactions the cell produces an electrical impulse. This stimulus is modulated by the energy of the photon—that is, the brightness of the light. Another fascinating fact is that all of the processes described so far happen in no more than one thousandth of a second. As soon as this chain reaction is completed, other specialized proteins within the cells convert elements such as 11-cis-retinal, rhodopsin and transducin back to their original states. The eye is under a constant shower of photons, and the chain reactions within the eye's sensitive cells enable it to perceive each one of these. The process of sight is actually a great deal more complicated than the outline presented here would indicate. However, even this brief overview is sufficient to demonstrate the extraordinary nature of the system. There is such a complex, finely calculated system inside the eye that it is nonsensical to claim that it could have come about by chance. The system possesses a totally irreducibly complex structure. If even one of the many molecular parts that enter into a chain reaction with each other were missing, or did not possess a suitable structure, then the system would not function at all. The irreducibly complex structure of the eye not only definitively disproves the Darwinist theory, but also shows that life was created by the All-Wise and All-Powerful Allah. However, the eyes possessed by other creatures work by very different methods. One example is the lobster. A lobster's eye works on a principle of reflection, rather than that of refraction. Even more intriguing is that the sides of each one of these square tubes are like mirrors that reflect the incoming light. This reflected light is focused onto the retina flawlessly. The sides of the tubes inside the eye are lodged at such perfect angles that they all focus onto a single point. The extraordinary nature of this system is quite indisputable. All of these perfect square tubes have a layer that works just like a mirror. Furthermore, each one of these cells is sited by means of precise geometrical alignments, so that they all focus the light at a single point. It is obvious that the lobster eye presents a great difficulty for the theory of evolution. Most importantly, it exemplifies the concept of "irreducible complexity." If even one of its features—such as the facets of the eye, which are perfect squares, the mirrored sides of each unit, or the retina layer at the back—were eliminated, the eye could never function. Therefore, it is impossible to maintain that the eye evolved step-by-step. It is scientifically unjustifiable to argue that such a perfect structure as this could have come about haphazardly. It is quite clear that the lobster eye was created by Allah as a miraculous system. One can find further traits in the lobster's eye that nullify the assertions of evolutionists. An interesting fact emerges when one looks at creatures with similar eye structures. The reflecting eye, of which the lobster's eye is one example, is found in only one group of crustaceans, the so-called long-bodied decapods. This family includes the lobsters, the prawns and shrimp. The other members of the Crustacea class display "the refracting type eye structure," which works on completely different principles from those of the reflecting type. Here, the eye is made up of hundreds of cells like a honeycomb. Unlike the square cells in a lobster eye, these cells are either hexagonal or round. 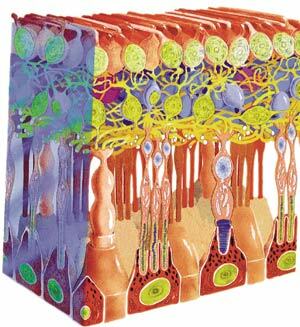 Furthermore, instead of reflecting light, small lenses in the cells refract the light onto the focus on the retina. 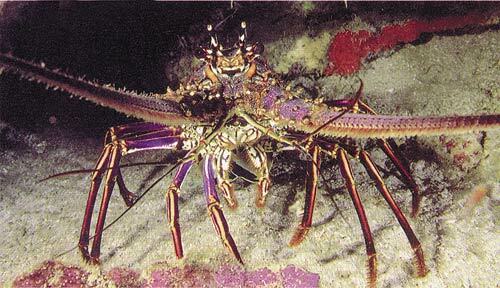 The majority of crustaceans have the refracting eye structure. According to evolutionist assumptions, all the creatures within the class Crustacea should have evolved from the same ancestor. 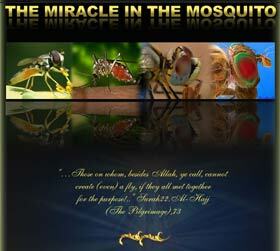 Therefore, evolutionists claim that reflecting mirrored eye evolved from a refracting eye. However, such reasoning is impossible, because both eye structures function perfectly within their own systems and have no room for any "transitional" phase. A crustacean would be left sightless and would be eliminated by natural selection if the refracting lens in its eye were to diminish and be replaced by reflecting mirrored surfaces. It is, therefore, certain that both of these eye structures were created separately. There is such superb geometric precision in these eyes that believing that they came into being by chance is simply ludicrous. Another interesting example of the irreducibly complex organs in living things is the human ear. As is commonly known, the hearing process begins with vibrations in the air. These vibrations are enhanced in the external ear. Research has shown that that part of the external ear known as the concha works as a kind of megaphone, and sound waves are intensified in the external auditory canal. In this way, the volume of sound waves increases considerably. Sound intensified in this way enters the external auditory canal. This is the area from the external ear to the ear drum. One interesting feature of the auditory canal, which is some three and a half centimeters long, is the wax it constantly secretes. This liquid contains an antiseptic property which keeps bacteria and insects out. 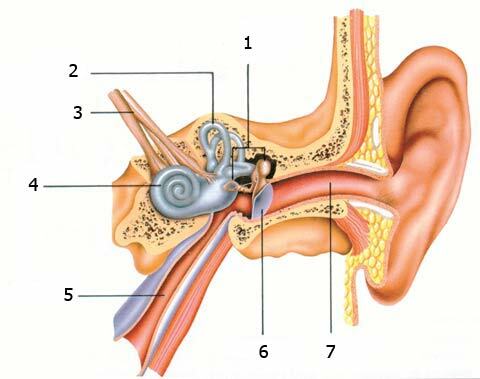 Furthermore, the cells on the surface of the auditory canal are aligned in a spiral form directed towards the outside, so that the wax always flows towards the outside of the ear as it is secreted. Sound vibrations which pass down the auditory canal in this way reach the ear drum. This membrane is so sensitive that it can even perceive vibrations on the molecular level. By means of the exquisite sensitivity of the ear drum, you can easily hear somebody whispering from yards away. Or you can hear the vibration set up as you slowly rub two fingers together. Another extraordinary feature of the ear drum is that after receiving a vibration it returns to its normal state. Calculations have revealed that, after perceiving the tiniest vibrations, the ear drum becomes motionless again within up to four thousandths of a second. If it did not become motionless again so quickly, every sound we hear would echo in our ears. The ear drum amplifies the vibrations which come to it, and sends them on to the middle ear region. Here, there are three bones in an extremely sensitive equilibrium with each other. These three bones are known as the hammer, the anvil and the stirrup; their function is to amplify the vibrations that reach them from the ear drum. But the middle ear also possesses a kind of "buffer," to reduce exceedingly high levels of sound. This feature is provided by two of the body's smallest muscles, which control the hammer, anvil and stirrup bones. These muscles enable exceptionally loud noises to be reduced before they reach the inner ear. As a result of this mechanism, we hear sounds that are loud enough to shock the system at a reduced volume. These muscles are involuntary, and come into operation automatically, in such a way that even if we are asleep and there is a loud noise beside us, these muscles immediately contract and reduce the intensity of the vibration reaching the inner ear. The middle ear, which is so flawless, needs to maintain an important equilibrium. The air pressure inside the middle ear has to be the same as that beyond the ear drum, in other words, the same as the atmospheric air pressure. But this balance has been thought of, and a canal between the middle ear and the outside world which allows an exchange of air has been built in. This canal is the Eustachean tube, a hollow tube running from the inner ear to the oral cavity. It will be seen that all we have examined so far consists of the vibrations in the outer and middle ear. 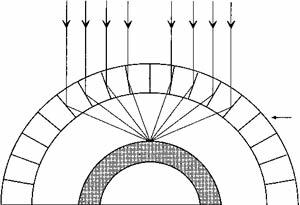 The vibrations are constantly passed forward, but so far there is still nothing apart from a mechanical motion. In other words, there is as yet no sound. The process whereby these mechanical motions begin to be turned into sound begins in the area known as the inner ear. In the inner ear is a spiral-shaped organ filled with a liquid. This organ is called the cochlea. The last part of the middle ear is the stirrup bone, which is linked to the cochlea by a membrane. The mechanical vibrations in the middle ear are sent on to the liquid in the inner ear by this connection. The vibrations which reach the liquid in the inner ear set up wave effects in the liquid. The inner walls of the cochlea are lined with small hair-like structures, called stereocilia, which are affected by this wave effect. These tiny hairs move strictly in accordance with the motion of the liquid. If a loud noise is emitted, then more hairs bend in a more powerful way. Every different frequency in the outside world sets up different effects in the hairs. But what is the meaning of this movement of the hairs? What can the movement of the tiny hairs in the cochlea in the inner ear have to do with listening to a concert of classical music, recognizing a friend's voice, hearing the sound of a car, or distinguishing the millions of other kinds of sounds? The answer is most interesting, and once more reveals the complexity of the ear. Each of the tiny hairs covering the inner walls of the cochlea is actually a mechanism which lies on top of 16,000 hair cells. When these hairs sense a vibration, they move and push each other, just like dominos. 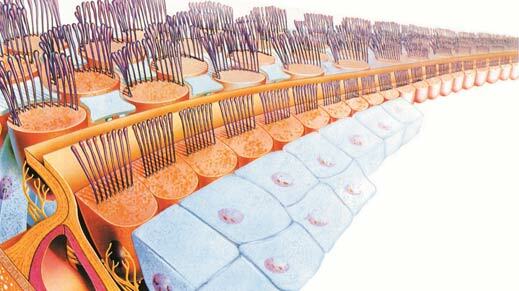 This motion opens channels in the membranes of the cells lying beneath the hairs. And this allows the inflow of ions into the cells. When the hairs move in the opposite direction, these channels close again. Thus, this constant motion of the hairs causes constant changes in the chemical balance within the underlying cells, which in turn enables them to produce electrical signals. These electrical signals are forwarded to the brain by nerves, and the brain then processes them, turning them into sound. Science has not been able to explain all the technical details of this system. While producing these electrical signals, the cells in the inner ear also manage to transmit the frequencies, strengths, and rhythms coming from the outside. This is such a complicated process that science has so far been unable to determine whether the frequency-distinguishing system takes place in the inner ear or in the brain. The complex structure of the inner ear. Inside this complicated bone structure is found both the system that maintains our balance, and also a very sensitive hearing system that turns vibrations into sound. Just as interesting is the question of how often these tiny hairs can move in a second. This changes according to the frequency of the sound. As the frequency gets higher, the number of times these tiny hairs can move reaches very high levels: for instance, a sound of a frequency of 20,000 causes these tiny hairs to move 20,000 times a second. Everything we have examined so far has shown us that the ear possesses an extraordinary structure. On closer examination, it becomes evident that this structure is irreducibly complex, since, in order for hearing to happen, it is necessary for all the component parts of the auditory system to be present and in complete working order. Take away any one of these—for instance, the hammer bone in the middle ear—or damage its structure, and you will no longer be able to hear anything. In order for you to hear, such different elements as the ear drum, the hammer, anvil and stirrup bones, the inner ear membrane, the cochlea, the liquid inside the cochlea, the tiny hairs that transmit the vibrations from the liquid to the underlying sensory cells, the latter cells themselves, the nerve network running from them to the brain, and the hearing center in the brain must all exist in complete working order. The system cannot develop "by stages," because the intermediate stages would serve no purpose. The inner walls of the cochlea in the inner ear are lined with tiny hairs. These move in line with the wave motion set up in the liquid in the inner ear by vibrations coming from outside. In this way, the electrical balance of the cells to which the hairs are attached changes, and forms the signals we perceive as "sound." In other words, Atayman thinks that the ear evolved from the ordinary skin in other parts of our bodies, and sees our feeling low sounds in our skin as a proof of this. Let us first take Atayman's "theory," and then the so-called "proof" he offers. 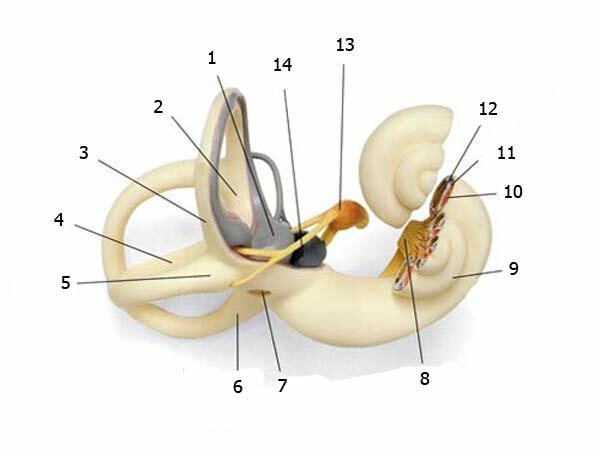 We have just seen that the ear is a complex structure made up of dozens of different parts. To propose that this structure emerged with "the evolution of layers of skin" is, in a word, to build castles in the air. What mutation or natural selection effect could enable such an evolution to happen? Which part of the ear formed first? How could that part, the product of coincidence, have been chosen through natural selection even though it had no function? How did chance bring about all the sensitive mechanical balances in the ear: the ear drum, the hammer, anvil and stirrup bones, the muscles that control them, the inner ear, the cochlea, the liquid in it, the tiny hairs, the movement-sensitive cells, their nerve connections, etc.? Beyond the mechanisms of natural selection and mutation, evolutionists really believe in a "magic wand" that brings about the most complex systems by chance. 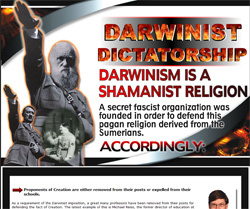 The "proof" that Atayman supplies for this imaginary theory is even more interesting. He says, "Our feeling low sounds in our skin is proof." What we call sound actually consists of vibrations in the air. Since vibrations are a physical effect, of course they can be perceived by our sense of touch. For that reason it is quite normal that we should be able to feel high and low sounds physically. Furthermore, these sounds also affect bodies physically. The breaking of glass in a room under high intensities of sound is one example of this. The interesting thing is that the evolutionist writer Atayman should think that these effects are a proof of the evolution of the ear. The logic Atayman employs is the following: "The ear perceives sound waves, our skin is affected by these vibrations, therefore, the ear evolved from the skin." Following Atayman's logic, one could also say, "The ear perceives sound waves, glass is also affected by these, therefore the ear evolved from glass." Once one has left the bounds of reason, there is no "theory" that cannot be proposed. This fantastical claim, based on no scientific discovery at all (it corresponds to nothing in the fossil record), is exceedingly self-contradictory. The most important point here is that such an imaginary change would leave a creature deaf. Naturally, a living thing cannot continue hearing if its jaw bones slowly start entering its inner ear. Such a species would be at a disadvantage compared to other living things and would be eliminated, according to what evolutionists themselves believe. On the other hand, a living thing whose jaw bones were moving towards its ear would end up with a defective jaw. Such a creature's ability to chew would greatly decrease, and even disappear totally. This, too, would disadvantage the creature, and result in its elimination. In short, the results which emerge when one examines the structure of ears and their origins clearly invalidate evolutionist assumptions. The Grolier Encyclopedia, an evolutionist source, makes the admission that "the origin of the ear is shrouded in uncertainty." 355 Actually, anyone who studies the system in the ear with common sense can easily see that it is the product of Allah's magnificent creation. 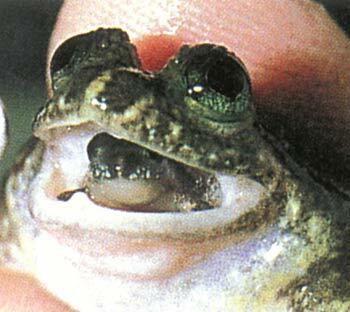 The females of this frog species hide their young in their stomachs throughout the incubation period, and then give birth to them through their mouths. But in order for this to happen, a number of adjustments have to be made, all at the same time and with no mistakes allowed: The egg-structure has to be set up, the stomach acid must be neutralized, and the mothers have to be able to live for weeks without feeding. Irreducible complexity is not a feature that we only see at the biochemical level or in complicated organs. Many biological systems possessed by living things are irreducibly complex, and invalidate the theory of evolution for that reason. The extraordinary reproductive method of Rheobatrachus silus, a species of frog living in Australia, is an example of this. The females of this species use a fascinating method to protect their eggs after fertilization. They swallow them. The tadpoles remain and grow in the stomach for the first six weeks after they hatch. How is it possible that they can remain in their mothers' stomach that long without being digested? A flawless system has been created to enable them to do so. First, the female gives up eating and drinking for those six weeks, which means the stomach is reserved solely for the tadpoles. However, another danger is the regular release of hydrochloric acid and pepsin in the stomach. These chemicals would normally quickly kill the offspring. However, this is prevented by a very special measure. The fluids in the stomach of the mother are neutralized by the hormonelike substance prostaglandin E2, which is secreted first by the egg capsules and then by the tadpoles. Hence, the offspring grow healthily, even though they are swimming in a pool of acid. The miraculous reproduction system of Rheobatrachus silus explicitly invalidates the theory of evolution, since the whole system is irreducibly complex. Every step has to take place fully in order for the frogs to survive. The mother has to swallow the eggs, and has to stop feeding completely for six weeks. The eggs have to release a hormonelike substance to neutralize stomach acids. The addition of the extra protein-rich yolk to the egg is another necessity. The widening of the female's oesophagus cannot be coincidental. If all these things failed to happen in the requisite sequence, the froglets would not survive, and the species would face extinction. Therefore, this system cannot have developed step-by-step, as asserted by the theory of evolution. The species has existed with this entire system intact since its first member came into existence. Another way of putting it is, they were created. In this section we have only examined a few examples of the concept of irreducible complexity. In fact, most organs and systems in living things possess the feature. On the biochemical level in particular, systems function by the working together of a number of independent parts, and cannot by any means be reduced to further simplicity. This fact invalidates Darwinism, which tries to account for the marvelous features of life by coincidental processes. Darwin said that "if it could be demonstrated that any complex organ existed, which could not possibly have been formed by numerous, successive, slight modifications, my theory would absolutely break down." Today, modern biology has revealed countless examples of this. 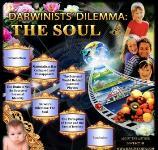 One can only conclude, then, that Darwinism has "absolutely" broken down. 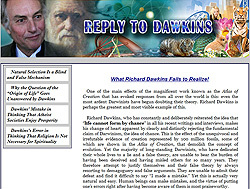 342 Peter van Inwagen, Review about Michael Behe's Darwin's Black Box. 344 Norman Macbeth, Darwin Retried: An Appeal to Reason, Harvard Common Press, 1971, p. 131. 346 Michael J. Behe, Darwin's Black Box, The Free Press, New York, 1996, p. 18. 347 Michael J. Behe, Darwin's Black Box, The Free Press, New York, 1996, pp. 18-21. 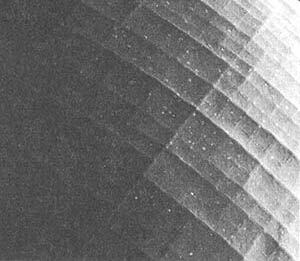 349 J. R. P. Angel, "Lobster Eyes as X-ray Telescopes," Astrophysical Journal, 1979, No. 233, pp. 364-373. See also B. K. Hartline (1980), "Lobster-Eye X-ray Telescope Envisioned," Science, No. 207, p. 47, cited in Michael Denton, Nature's Destiny, The Free Press, 1998, p. 354. 350 M. F. Land, "Superposition Images are Formed by Reflection in the Eyes of Some Oceanic Decapod Crustacea," Nature, 1976, vol. 263, pp. 764-765. 351 Jeff Goldberg, "The Quivering Bundles That Let Us Hear," Seeing, Hearing, and Smelling the World, A Report from the Howard Hughes Medical Institute, p. 38. 353 Michael Denton, Evolution: A Theory in Crisis, Burnett Books, London, 1985, p. 351. 354 Duane T. Gish, "The Mammal-like Reptiles," Impact, no. 102, December 1981. 356 William E. Duruelleman & Linda Trueb, "The Gastric Brooding Frog," Megraw-Hill Book com., 1986. 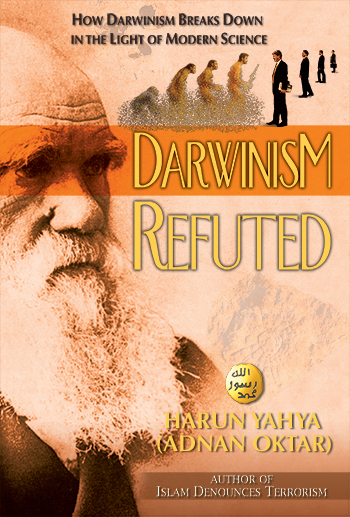 You can read Harun Yahya's book Darwinism Refuted online, share it on social networks such as Facebook and Twitter, download it to your computer, use it in your homework and theses, and publish, copy or reproduce it on your own web sites or blogs without paying any copyright fee, so long as you acknowledge this site as the reference.